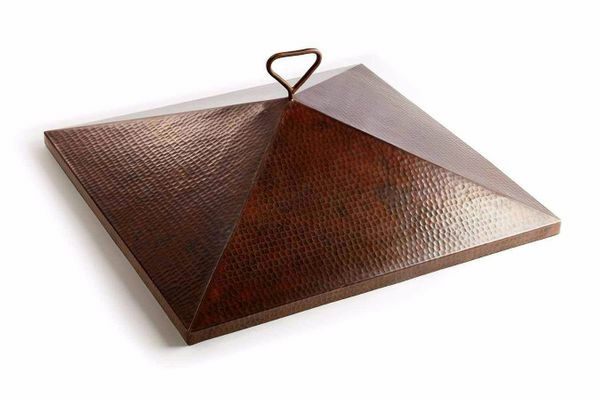 This hearty, grandeur of luxury features four triangular-pinched corners that combine to a height of 7" and make a perfect 26" by 26" square cover to finish off your copper bowl fire pit. �Weighing only 13 pounds, this pristine cover offers all of the benefits of environmental protection with a smooth finish. This piece, designed for the Sierra Bowl Series Fire Pits, makes for a delightful combination of organic, earth-toned colors. �It also comes equipped with a protective handle for easy lifting.